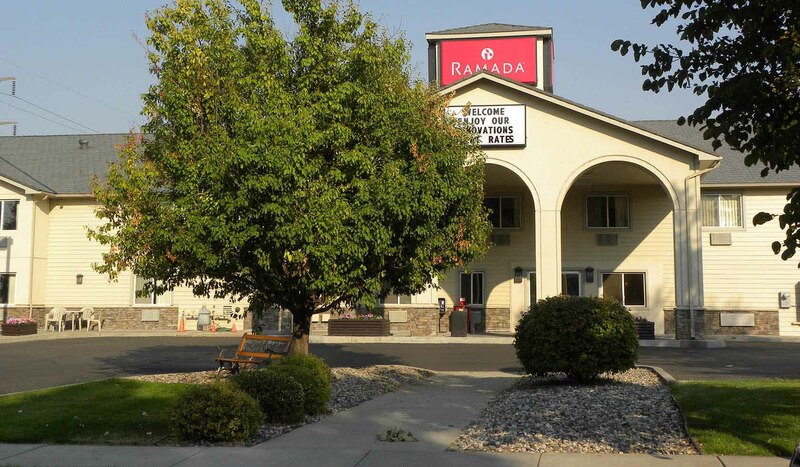 Bozeman Ramada Limited is located in Bozeman, Montana in the heart of the Rockies and near Yellowstone National Park. Historic downtown Bozeman is only a few minutes drive and restaurants are within walking distance. The Museum of the Rockies and Montana State University are just up the road. It is a short drive to world class fishing, whitewater rafting, Yellowstone Park and amazing skiing and snowboarding at Bridger Bowl and Big Sky Resorts. We are easily accessed by Exit 306 off Interstate 90, N. 7th Avenue. Enjoy our 90-foot indoor waterslide, pool, Jacuzzi, and fitness room. Our large rooms have a mix of double queen and king rooms. All rooms are non-smoking and include 40 inch flat screen HD televisions, free high speed wireless internet, free local and long distance calling anywhere within the continental US, refrigerators, and microwaves. Our complimentary deluxe continental breakfast includes sausage and egg muffins, waffles, muffins, toast bar, hot and cold cereals, fruit, juice, coffee, tea, and hot chocolate. For your convenience we have 24-hour staffing to service any additional needs and there is a small store on property with food and drink items, as well as some of the common necessities.